It's Passover. Gamaliel and his physician friend, Loukas, are crime-solving a third time--reluctantly. Pontius Pilate has been accused of murder. He denies the crime. If convicted, he might escape death but would be removed from Judea. Those rejoicing urge the Rabban to mind his own business. But Gamaliel is a just man which is, as Pilate says to him, "your weakness and also your strength." 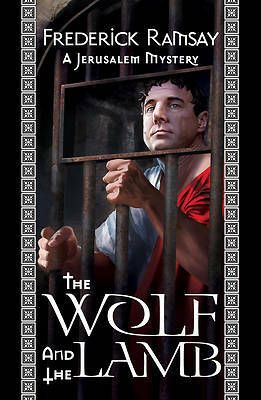 Knowing that exonerating the Roman could cost him his position, possibly his life, Gamaliel, as would Sherlock Holmes centuries later, examines evidence and sorts through tangled threads, teasing out suspects who include assassins, Roman nobles, Pilate's wife, rogue legionnaires, slaves, servants, thespians, and a race horse named Pegasus. Unusually, justice triumphs over enmity. Gamaliel is satis ed, High Priest Caiaphas is irate, Loukas accepts an apprentice from Tarsus, and few notice the events of what will later be known as Easter. Ramsay's plausible narrative answers some questions which have puzzled Biblical scholars for centuries. Why did Pilate hear the case against Jesus? Why invent prisoner be released at Passover? Having done so, why offer the most terrifying criminal in the country, Barabbas, as the substitute for Jesus when two better, less dangerous prisoners were at hand? And we ask, why could Caiaphas not heed Gamaliel's warnings not to martyr the man?